Georgia - a country of old myths and legends. 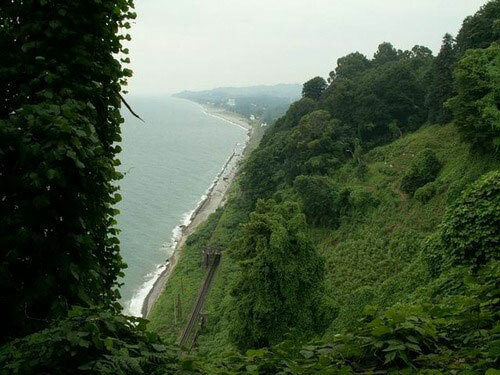 Its seashore is rich with neighbouring snowy mountains, warmth and wealth. This is a real Earthly Heaven. Beauty of Georgia and its capital, hospitality of people, rich history and cultural wealth are attractive for all travelers. 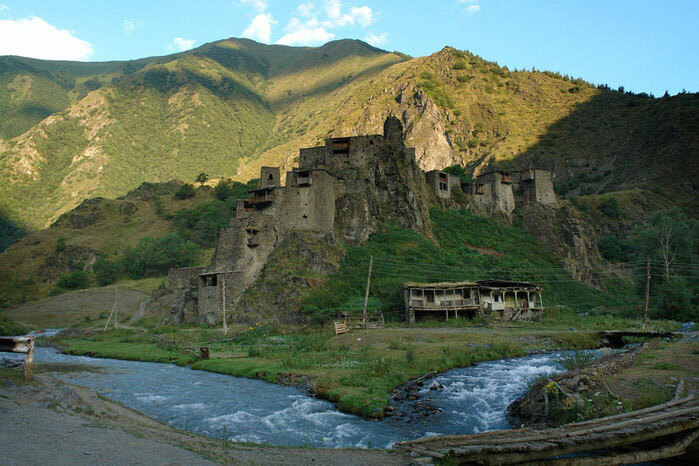 Adventure around Georgia leaves unusual impressions and stays in your memories forever. Day 1. Meeting and transfer from airport to hotel in Tbilisi. Day 2. Tour from capital to the western Georgia. 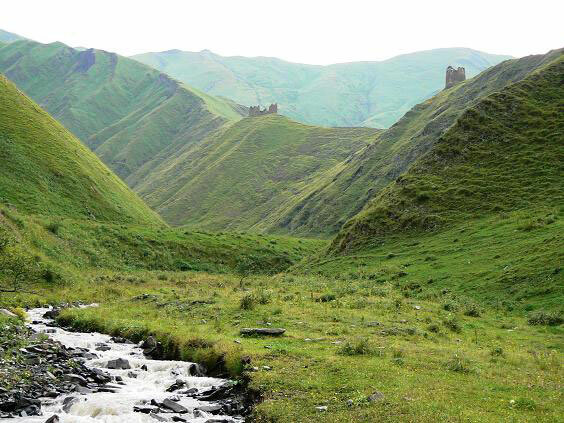 Kutaisi - a centre of Imereti region,the second by size and importance city of Georgia. 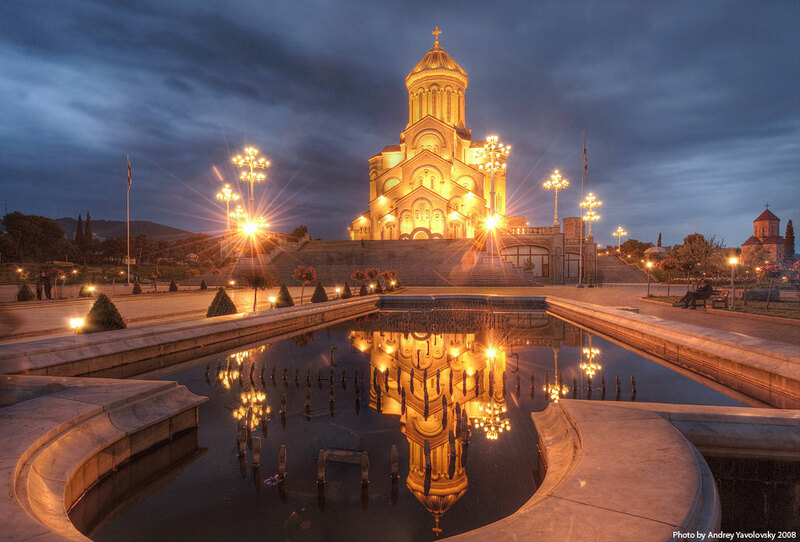 Cathedral "Bagrat" in Kutaisi, was founded by king Bagrat the IIIrd, as a main palace and was later named in honor of the Holy Mother in 1003. "Sataplia" - a prehistoric cave (underground springs, stalactites and stalagmites, dinosaur footprints). "Sataplia" is the third place in CIS which keeps the traces of dinosaurs. "Gelati" - 12th c. Centre of spiritual and scientific life of the middle ages, Georgian kings' burial place. "Motsameta" - 10th c. A small amazing monastery. It attracts crowds of travelers by its faith. Day 3. 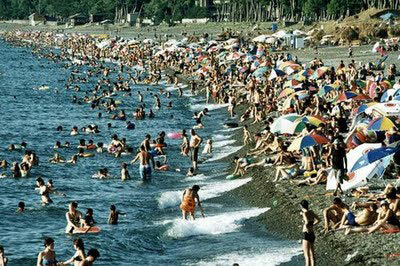 Batumi - a city of sun and sea. 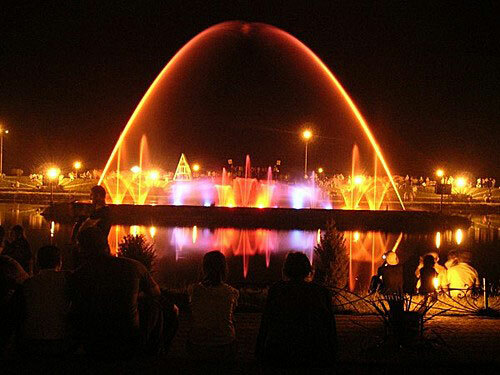 Seaside park (centre of entertainment). 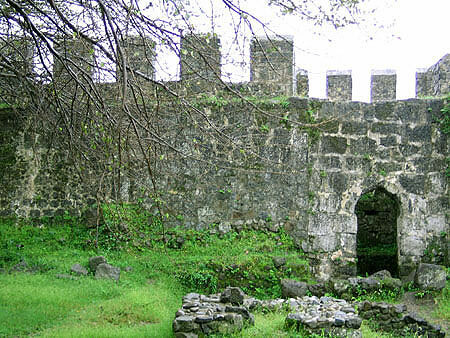 An ancient museum of Archeology of Adjara. Botanical Gardens (real Eden from Bible). A night in Batumi hotel. Day 4. Return to Eastern Georgia. Gori - is a city, built by kingDavid the Builder in 1089-1125. Here in 1920 Joseph Stalin was born, here is his house museum with panoramic view over Gori. "Uplistsikhe" - is an ancient town-fortress, a fabulous work of old masons on creation of the whole city from a rock. "Ateni Sion" -Monastery of the 7th c., famous with its frescoes. "Mtskheta"- is a pilgrimage and holy place for every Georgian. An ancient capital of Georgia. 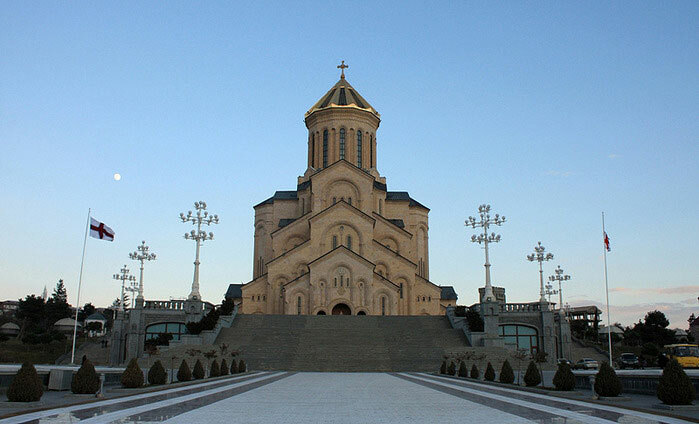 "Svetitskhoveli" - cathedral of the 11th c. Here is kept one of the greatest holy item of all Christian World - Jesus Christ's Chiton. 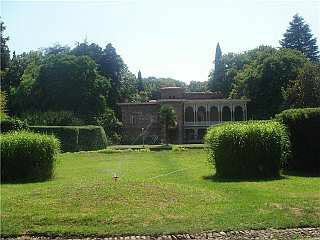 "Djvari" - a Monastery of the 6th c. An ancient religious monument. Return to Tbilisi, a night in hotel. Day 5. Telavi - a centre of Kakheti region. Telavi - a town of the 18th c. a residence of Kakhetian king Erekle. 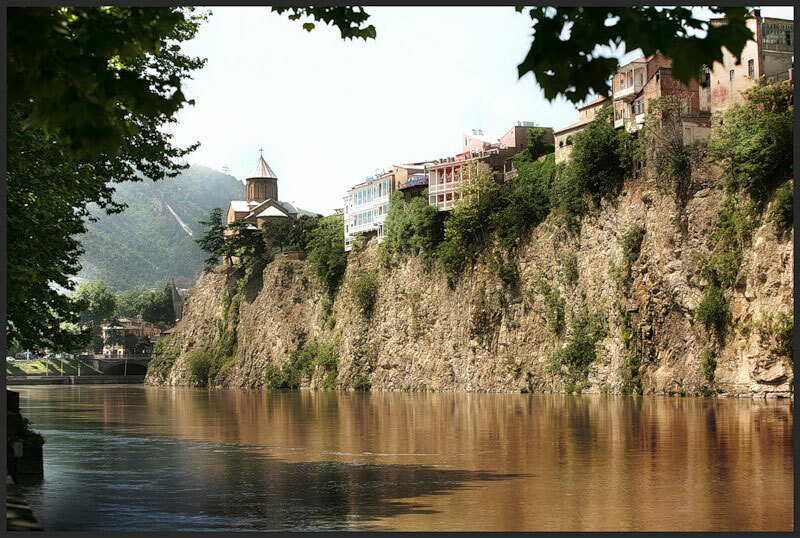 Telavi - a region of old churches and monasteries, picturesque rivers and valleys, where under the warm rays of sun famous types of grapes are growing. This is a centre of Georgian wine. Kakhetian wines are famous in the world. About 70 types of various wines are produced here. 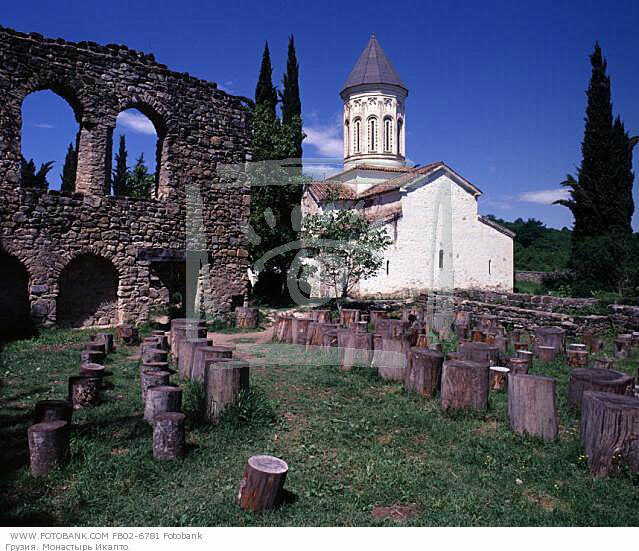 "Alahverdi" - a monastery of St. George, founded in the 11th c.
"Ikalto" - an architectural complex of the 6th c. Here is one of the oldest historical monuments Ikalto Academy, dated back of the 8th c.
"Gremi" - a centre of Kakhetian Kingdom. 16th - 17th c.
This night will be spent by travelers in Telavi hotel. Day 6. 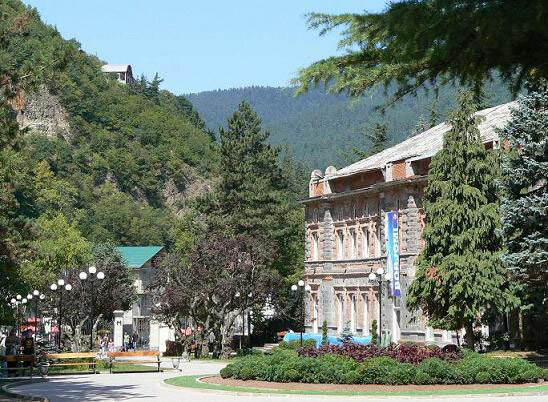 "Tsinandali" - a marvelous park with chamber, a house museum of prince Chavchavadze, ancient winery (producing exclusive types of wine and open for travelers). For additional cost, there can be organized wine tasting. Church "Kvelatsminda" in Gurjaani (9-17 th cc.) 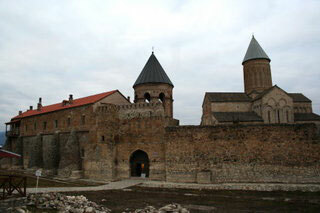 -a unique monument of medieval Georgian architecture. This is the only two cupola church in Georgia. "Sighnaghi" - a small town in the east of Kakheti - a city of love. It is famous for its fortress, included in the list of the most known and big fortresses of Georgia. "Bodbe" - a Monastery and Episcopal complex of St. George. Day 7. Tbilisi sight seeings. Cathedral "Sameba"- "Trinity". By monumental parameters and greatness can be compared with the Catherdal of Christ the Savior. 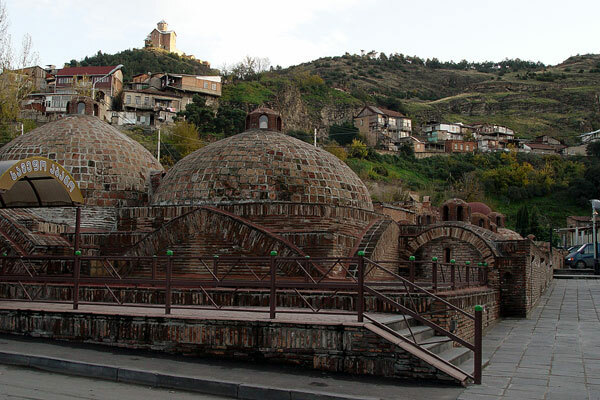 Tbilisi Sulphur Baths - Rustaveli avenue. Day 8. Transfer from the hotel to the airport. If the flight home is in the evening, according to the wish of the guests, we could organize a drive to Lilo Bazar - a place with considerably low prices. You can add this extension to any Historical, Cultural and Architectural in Georgia. Our tour operator will work closely with you or your travel agent to carefully prepare an itinerary based on your stated interests. The above prices can be changed without prior notification.